The record registry has been updated with new records by Ruud, Blummenfelt, Enquist, Fransson and Hugdal. The Danish Powerlifting Federation will lead the NPF for the next two year periode. Changes have been made to the NPF calender. 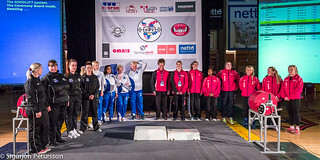 The Nordic subjunior and junior Powerlifting Championships, equipped and classic, will take place in February every year. No Nordic Open Championships will be arranged in 2016. Extensive changes were made to the NPF ByLaws at the congress 2014.